South Brazilian and North American tallgrass grasslands show botanical similarity. Fire appears to have a similar ecological role in both regions. Fire as ecological process and conservation tool is undervalued in Brazil. Brazilian grassland conservation might benefit from North American experiences. Comparative ecological studies will improve our understanding of grassland ecology. Aichis Target 11 has not been adequately met. Quality of the management of Conservation Units was poor for all indicators. The only biome properly covered by Conservation Units in Brazil is the Amazon. Areas of Environmental Protection offer poor protection and predominate in the system. The funds for management should be at least 3.4 times bigger than current budget. Ecology has witnessed a strong conceptual shift. Its not realistic to predict the future of ecosystems ignoring human being. Ecologists have sought to understand the consequences of more subtle human actions. The Niche Construction Theory can help to understand human influences on environment. Marine Seismic Surveys are a major threat to marine biodiversity worldwide. 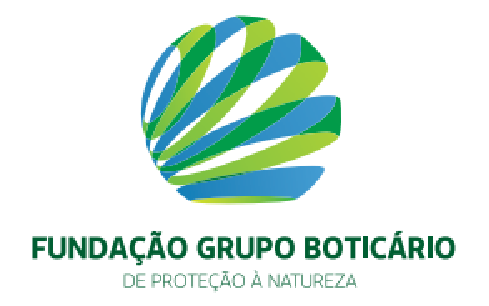 In Brazil, regulation through environmental licensing has 18 years of practice. Brazilian mitigation guidelines are recognized among world's most advanced. Environmental licensing has commissioned important marine research in Brazil. Ongoing institutional reforms jeopardize environmental control of MSS in Brazil. We looked into eight Cerrado National Parks and their surroundings. Objective landscape biophysical attributes revealed different tourism potentials. Rugged terrain offer more opportunities to explore long panoramic views. Areas with flat relief are more suited for water recreational activities. The study contributes to reduce the gap on cultural ES research in South America. First-order streams represent 58% of the total length of water bodies in the state of São Paulo. Most first-order streams are intermittent and then, more vulnerable to land-use and climate change. The Environmental Rural Registry (CAR in Portuguese) is not efficient to detect first order streams. A large proportion of first-order streams are impacted by small dams. The Brazilian Atlantic Forest and other biodiversity hotspots are rapidly urbanizing. The role of urban protected areas in safeguarding bird diversity is little known. Larger protected areas retain larger proportion of the regional bird species richness. Small areas, however, are also crucial to maintain the regional diversity. Legal-based birdwatching may help to protect birds in urbanizing regions.